Skretting is now able to offer aquaculture feeds containing a ground breaking algal oil that consists of unprecedented levels of the two essential long chain Omega-3 fatty acids EPA and DHA, thanks to the joint development of Royal DSM and Evonik. This alternative to the finite supply of fish oil is currently under piloting at meaningful volumes for the aquaculture industry. The new generation of technology will allow the aquaculture industry to continue to grow and enable more and more consumers all over the world to benefit from the health-boosting properties of delicious, nutritious fish, like salmon and trout. Skretting Aquaculture Research Centre builds on more than 20 years of extensive R&D in the application of fish oil alternatives in salmon and trout feeds while ensuring optimum growth and health of the fish. Skretting sees the new marine algal oil as a breakthrough in achieving this goal. Royal DSM is a global science-based company active in health, nutrition and materials, while Evonik Industries is one of the world's leading specialty chemicals companies. Both companies have demonstrated long-term commitments to improving sustainability within the aquaculture industry, including delivering solutions to the salmon farming industry. One of the principal findings in the DSM and Evonik joint development was the identification of a specific naturally occurring marine algae which contains both EPA and DHA. Skretting is collaborating with the two companies to ensure the aquaculture industry fully benefits from the opportunity presented by this innovation. The product is currently approved for use in Europe. The new marine algal oil is produced by natural algae from the ocean and cultivated in controlled, land-based facilities. Not only does this algal oil provide a sustainable means of producing Omega-3, it also ensures predictable volumes of EPA and DHA. In nature, EPA and DHA are made by marine microalgae, accumulate in the marine food chain and ultimately become a component of fish oil. Algal oil is nature’s source of EPA and DHA and removes the need to rely solely on fish oil as the source of marine Omega-3 fatty acids in salmon and trout feeds. Both fishmeal and fish oil will remain important feed ingredients; however marine algal oil allows Skretting to offer a more flexible formulation to its customers as required. The resultant MicroBalance® concept allows Skretting to be increasingly flexible with feed formulations. 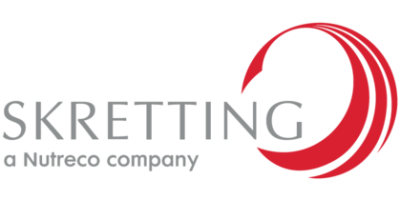 Skretting announced at the start of the year that it had become the first aquaculture feed company to develop commercial salmon feed formulations that were completely fishmeal-free and delivered equal performance in terms of fish growth and health. With this radical innovation, fish oil volatility will not limit further expansion of the salmon industry. No comments were found for Skretting to offer algal oil breakthrough. Be the first to comment!